Travel to the City of Love with Destination Paris by Whistler Studios. 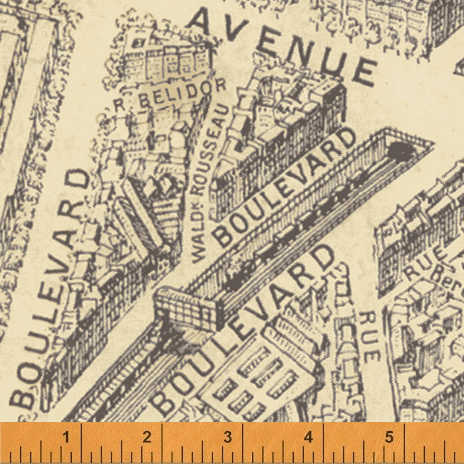 Locate your favorite landmark on the all over vintage map print and fill up your passport with Parisian stamps and tossed Eiffel Towers. Let your wanderlust run wild as you create tote bags, bedding or provincial quilts from this international fabric. 13 Skus. On sale August 2016. Delivery to stores January 2017.